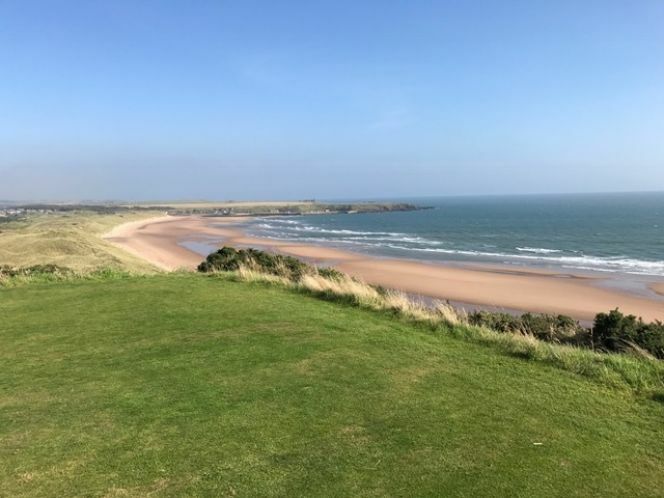 This brilliant golf course is well hidden, but worth all the effort to get there! The SatNav took me to the industrial end of town. I guess it was expecting me to swim the rest of the way to the course across the River Tay. Thanks Siri! So once I was done giving Siri a tongue lashing, it took me to the South Inch car park in town. There some friendly Perth Council Workers helped me out and showed me the way to get to the course, so I was in the right place at last. 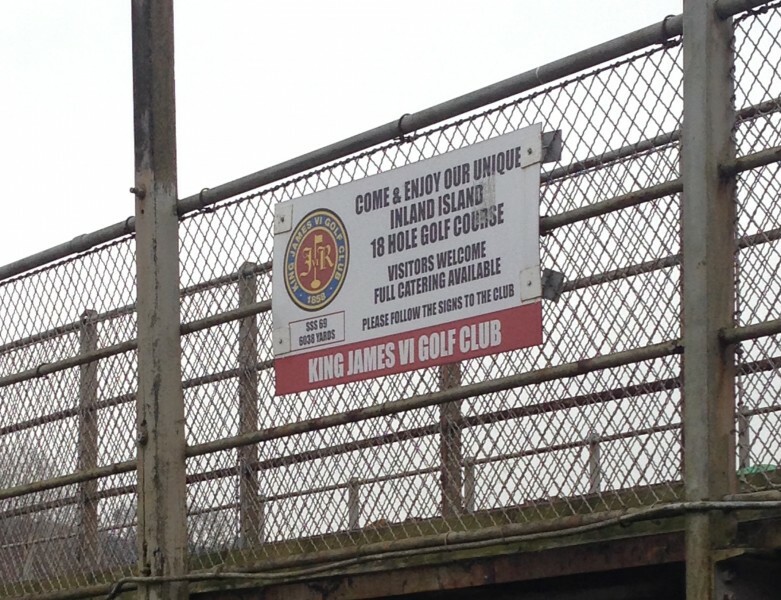 King James VI Golf Course is literally on an island in the River Tay in Perth city centre. 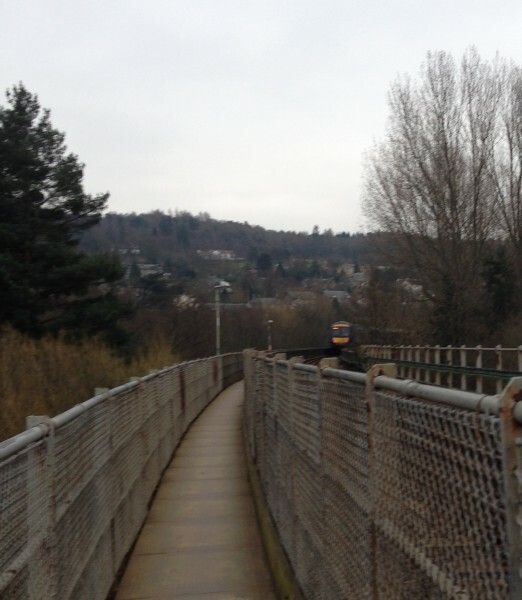 It is accessed by walking over the railway bridge and then to the course. I was on my way when I was passed by the 12:53 Scotrail service to Aberdeen! And as you can see, it’s quite a daunting walk with the train so unexpectedly close. But as I said, it is well worth the effort to get the course. I was glad to finally arrive. The entrance to the club is brilliant. 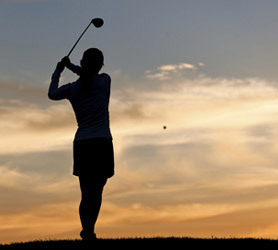 It just said to me, ‘Come on in, and play some happy golf.” So how could I not oblige?! The Head Professional, Allan Knox gave a wonderful welcome. 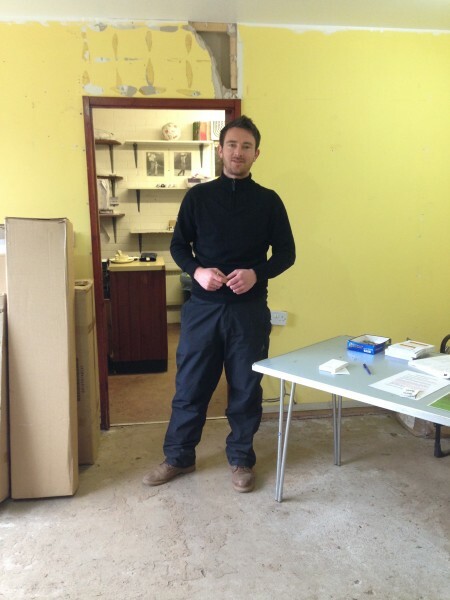 Here he is in his office which is being remodeled...I hope the yellow stays! So after a quick chat, he sent me on my way following the white flags out and the yellow flags home. All golfers play off the same tees and today, it was the whites. 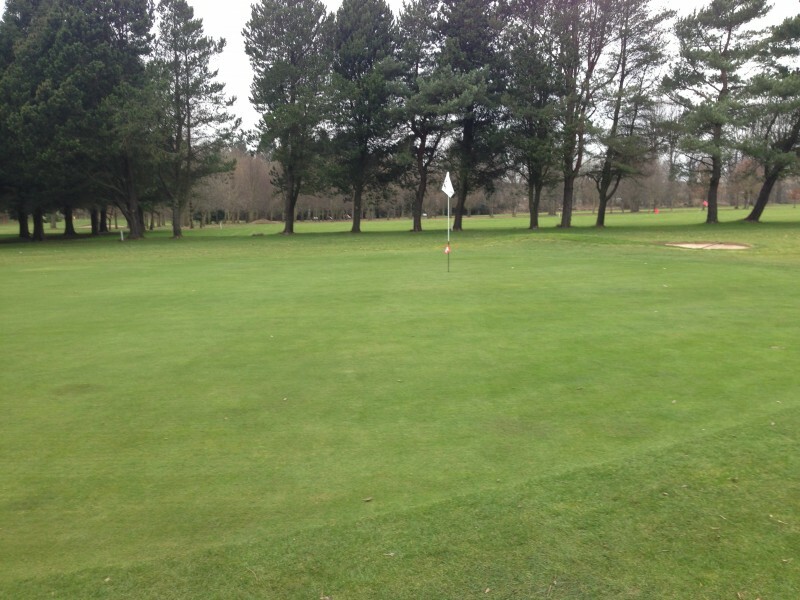 As you can see here, the course is in great condition for pre-season! 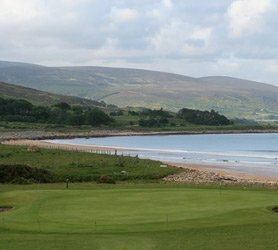 The white tees happen to be the longest distance, and it was quite a challenge in pre-season conditions with no run on the ball. 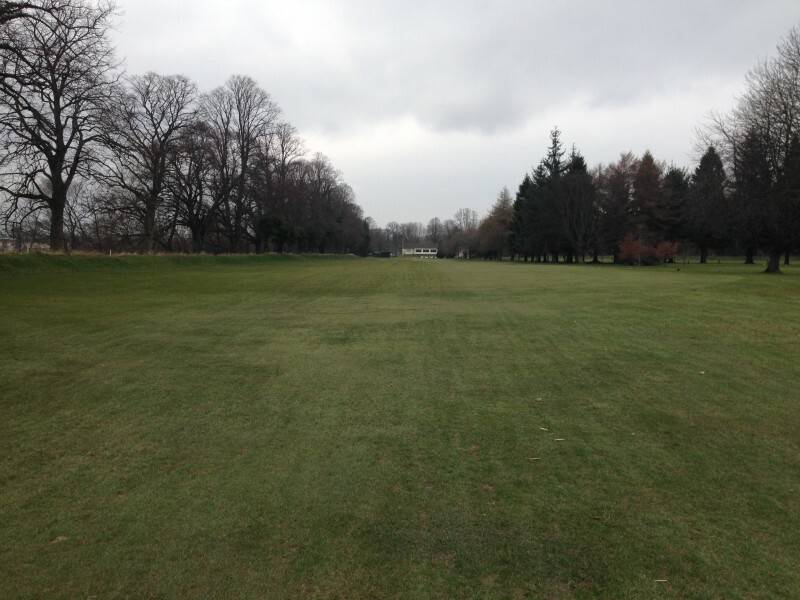 The course card only lists two Par 5‘s; however some of the Par 4‘s are extremely long at 474 and 492 yards! 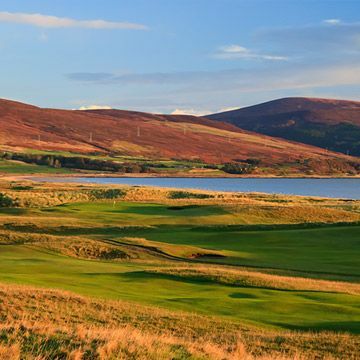 The first Par 5, the 8th, is called ‘Long Hole’ and they are not joking. It is exceptionally long at 529 yards! I nearly had a six; however, my putt shaved the hole. So I tapped in for a very happy 7. 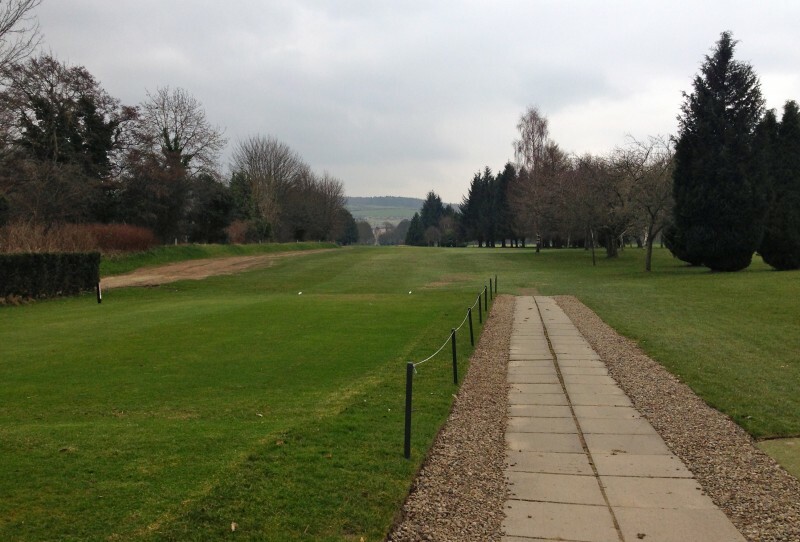 The course has a very straight forward layout. 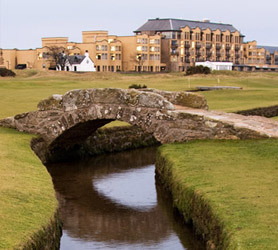 But it boasts all the hallmarks of an Old Tom Morris design to keep up its challenge. 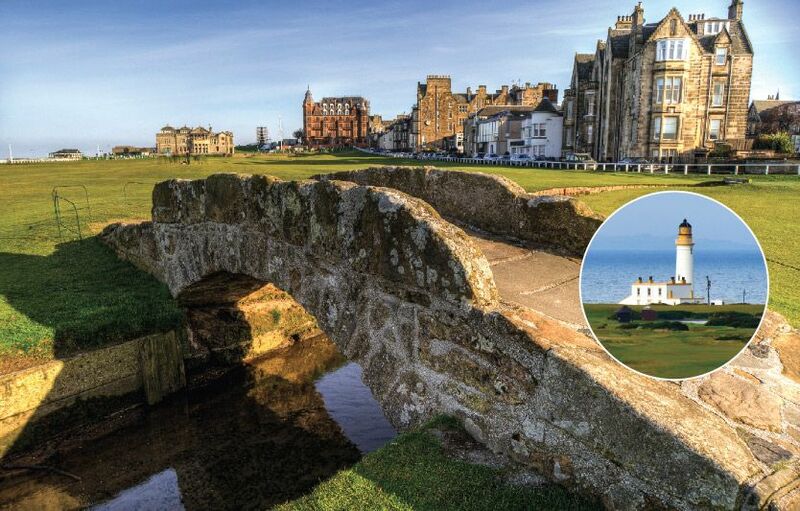 The bunkers are strategically placed, so like the Old Course St. Andrews, it is imperative to ‘think’ your way around the course. 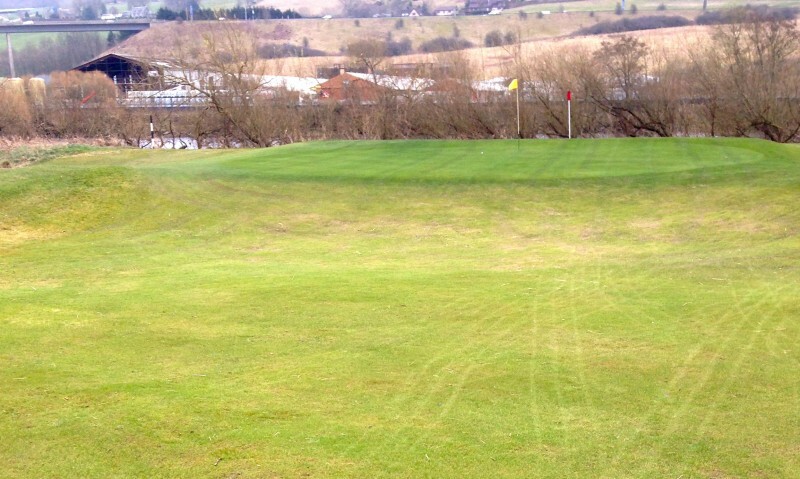 Some of the best holes are the clever and challenging Par 3’s which have the greens protected by concealed bunkers. And there are some precisely placed fairway bunkers to increase the conundrum for the average golfer - ME! 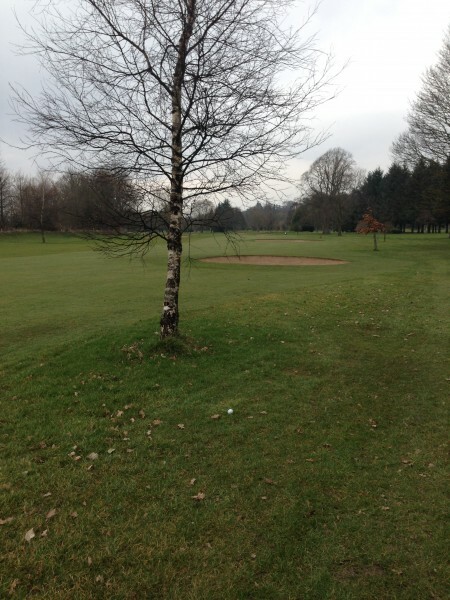 But there is a lovely straightforward finishing hole set perfectly to improve one's score. 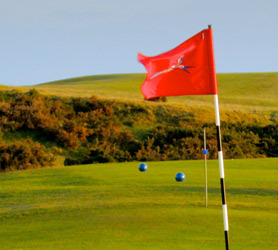 And, I am sure, amuse the occupants of the clubhouse bar if you get it wrong! 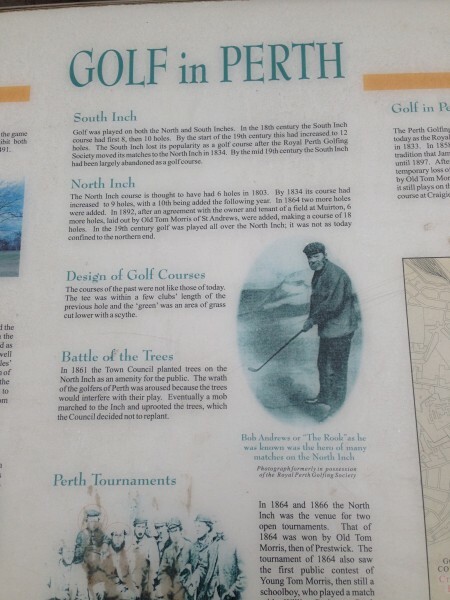 As I left via the same way I came, I noticed a sign board explaining the history of golf in Perth. 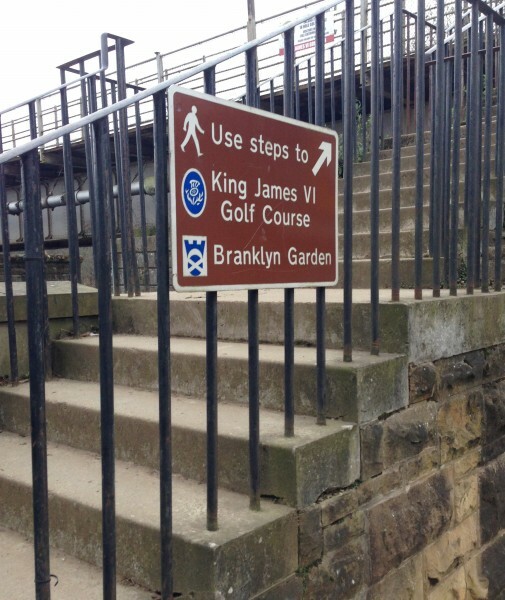 It seems that King James VI was played on these links, following in the footsteps of his mother, Mary Queen of Scots and his great grandfather King James IV. 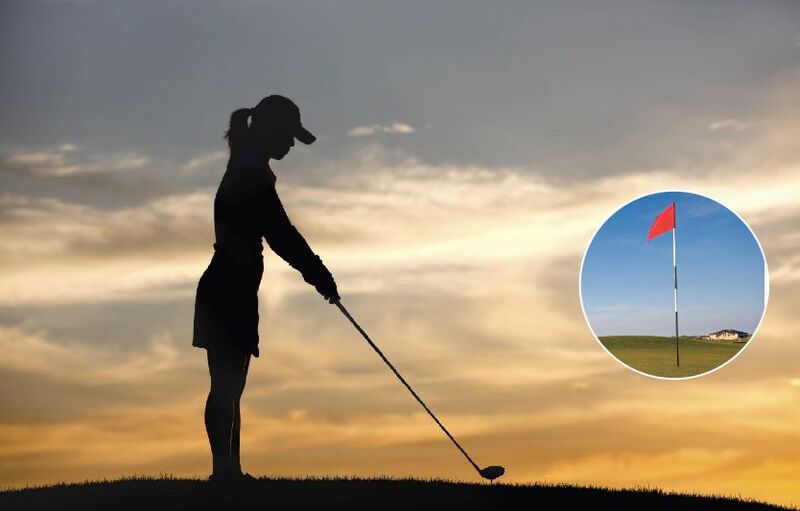 On an interesting note, it said that there were several people fined for playing golf on Sunday rather than attending ‘preaching’ -- my, how times have changed in the last 400 years! 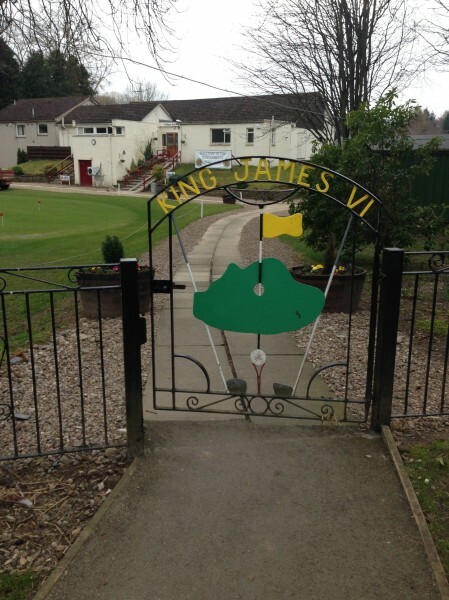 In any case, King James VI Golf Club is a true hidden gem and should not be missed!